hi, friends! sorry to leave you with nothing new these last few days. i've been hard at work on some projects. G's room is finished in all of its kalamata olive splendor. it was looking a little on the cool side at first (which is weird since it's the brownest purple ever), but i think once we get more furniture, art and proper lighting in there, it will be a real stunna. she was here this weekend and seemed really excited about the new diggs! if the kid's happy, i'm happy. this week, i'm in the middle of addressing some very cool wedding invites (white ink on metallic gunmetal gray envelopes anyone?). they're looking good so far! i've failed to mention some guest appearances that i've made in the last few weeks, so i'm sending you off this lovely wednesday to soak them up in all of their glory. anna of canoe design asked me to participate in her favorite furniture friday series, and i was having a moment with fanciful headboards that might be worth a peek. jessica of the eagle's nest had me by shortly after her little man was born, so i thought i'd discuss something i know absolutely nothing about; kid stuff and nurseries! how'd i do? and, as if that weren't enough, yesterday i was over at veranda interiors for melissa's new in ten series (while she is sunbathing on the beaches of hawaii, poor thing) talking dining rooms. something i also apparently know nothing about, as ours is still completely empty. 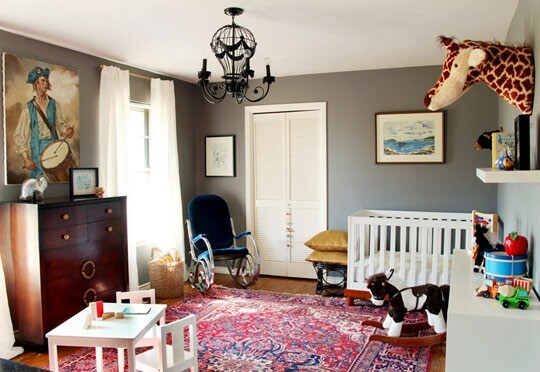 i am loving all the colors and textures to that nursery! off to checkout your guest posts! I was wondering where you were at! Curious to see this purple room. Share soon? 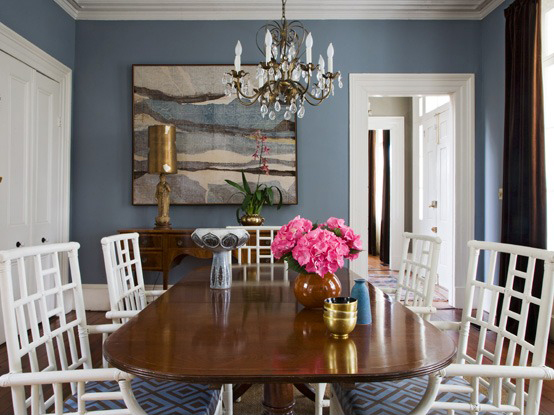 That dining room is all kinds of lush!! So glad to hear G's room is coming together!!!! Can't wait to see it. You've been a busy lady!!!! I think you hit the nail on the head. All very lovely rooms! Clicking over to check these out! You're doing all sorts of wonderful things these days! Congratulations! I´ve come across your blog by chance and I love it. You show great interiors. Very inspiring!